Wellness for the World: Breat Cancer Awareness? I like to wait until later in Breast Cancer Awareness month to write about this. After all, we truly have quite a bit of awareness of breast cancer. Everywhere you turn you see pink nowadays and I am very supportive of this. Heck, when I watch the NFL football games during October I am aware of the pink shoes, socks and other parts of the uniform. Again, I support this and am thankful that this awareness has been created. The challenge that I have is that most, if not all, of the money collected, is going to the development of drugs and not toward the single biggest impact we can actually have on breast cancer, which is prevention. Prevention is the key and we will look at this further later in the article. Let's look at how conventional medicine defines "survival" of breast cancer, which is living 5 years or more after diagnosis. With this said, if a woman is diagnosed with breast cancer at the age of 58 and lives to the age of 63, she is considered a survivor. Even if she dies of complications from breast cancer or chemotherapy at the age of 65, she is still a breast cancer survivor. Honestly, the chance of being a "survivor" then are very good, due to the fact that breast cancer is typically diagnosed much earlier these days. So really, do you just want to "survive?" 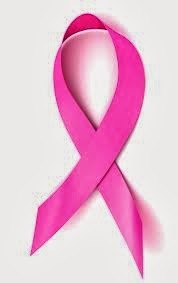 Here at Depke Wellness, we have seen many clients with breast cancer and continue to today. Our approach is very different though and this starts with the first comment made to these clients. That comment is "we do not assist women in fighting cancer, we assist women in living in harmony with cancer." After all, that's what the rest of us are doing. We are in a constant state of living in harmony with cancer. Even as I sit here writing this article, I have cancer cells in my body. Thankfully I trust that these cells are being dealt with properly via the immune system function and a process referred to as apoptosis. So what are the keys then? Let me pick a couple of these areas to discuss. The first is the process of apoptosis. The way I explain this is to refer apoptosis as cellular suicide. You see when a cell becomes "broken" it is actually designed to die. Yes, "broken" cells in your body should commit suicide. The problem though is the for so many women, this process had been significantly reduced or shut off by chronic inflammation. Understand that when you are living with chronic inflammation, this creates an immune system dysregulation. This dysregulation can and does turn off apoptosis. You should be getting the idea about now. imbalance. Recognizing these signs should lead you to complete a saliva hormone test. From there it is much easier to recommend what would assist your body in finding its hormonal balance. Now if you find yourself already diagnosed with breast cancer, don't simply fall into the fear and doom. I know, easier said than done sometimes. We have seen many women walk away from breast cancer and living happy health lives based on finding their own personal balance and as mentioned earlier, learning to live in harmony with cancer as do most of us. This is a tough concept for many but very true. Finding your balance includes everything mentioned above and more but it is absolutely achievable. One addition that is made for women already diagnosed is Angiostop. Recognize that cancer requires a high energy intake and a significant blood flow. The Angiostop as a strong effect on inhibiting new blood vessel formation, thus cutting off nutrient and blood supply to a tumor. This also inhibits fibroblast, platelet-derived and epidermal for broad spectrum inhibitory effects. 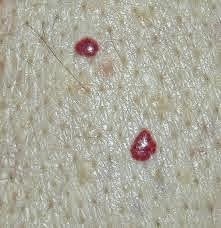 With the use of thermography, I have seen the results of angiogenesis that are remarkable with the Angiostop. The Angiostop does not directly cure cancer but it does help cut off its life support. So in the end, let's remember that there truly is not a lack of awareness on breast cancer but there is a significant lack of awareness on prevention and also holisitic protocols that can be effectively utilized. Also understand that you can easily integrate your conventional care with holistic care when dealing with breast cancer. This is not an us and them scenario. After all, it's all about your personal health and happiness, isn't it? *If you would like to learn more about the Depke Wellness approach to breast cancer, do not hesitate to call for a complimentary new client consultation at (949)954-6226. 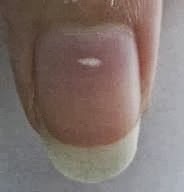 RE:One clue you can use to recognize high estrogen is the recognition of cherry angiomas on the trunk of your body along with white spots on your nails. These two together show a strong likelihood of estrogen dominance. Question: Is this true for men as well? What's the youngest age to get breast cancer? Q.What are the reason or cause to have breast cancer?